Jordan Brand is making waves in the market once again with release of the much-anticipated edition of the famous Jordan 6 Rings, which is now available in the market. This impressive silhouette from one of the best shoe brand was released this weekend in Black/Medium Grey – White colourway, which is known as the “carbon fiber” edition of the shoe. 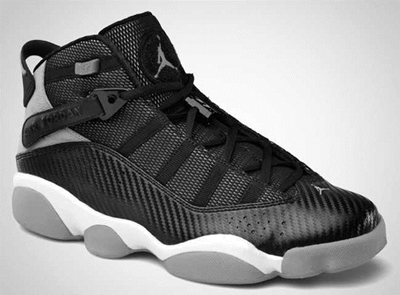 It features an impressive carbon-fiber textured black upper panel combined with cool grey outsole. If you are in a hunt for a shoe that will give you a fresh look in and out of the court, then you should not miss this latest release from Jordan Brand!